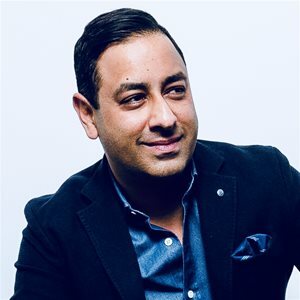 Roger Chabra is a General Partner at Rho Canada Ventures, a division of Rho Capital Partners focused on early-stage investing in Canada’s most innovative technology companies. With more than 15 years of venture capital, operating and entrepreneurial experience, he seeks to partner with passionate, energetic and visionary entrepreneurs who solve big problems and also possess the innate qualities needed to lead people to achieve their goals. Roger joined Rho in 2010 and focuses on investments in new media, software, Internet, wireless and communication companies at the early stages of development. Prior to Rho, he worked as a venture investor at GrowthWorks Capital where he was involved in the funding and growth of numerous companies including Whitehill (acquired by Oracle), Xkoto (acquired by Teradata), Paymentus (acquired by Accel-KKR) and NetShelter. Roger was also previously an investor at the corporate venture arm of BCE’s wireless division, where he was instrumental in the financing & development of many successful wireless and telecom companies across North America. He has also been a technology start-up CEO at Mobilessence and has worked in a variety of web technology-focused roles at Rogers Wireless and Sapphire Technologies (acquired by Randstad). Roger received an M.B.A. from the Richard Ivey School of Business at the University of Western Ontario and a B.A., also from the University of Western Ontario.